New Jersey residents feel that the way the state has grown and developed over the past two decades has made it both less affordable and more difficult to travel, according to a Monmouth University poll. While the poll found that economic concerns are more pronounced today than they were a decade ago, increased interest in attracting new businesses and creating jobs does not trump support for the environment. New Jerseyans are enthusiastic about communities where a variety of transportation options already exist and neighborhoods are within walking distance of shopping and other services. 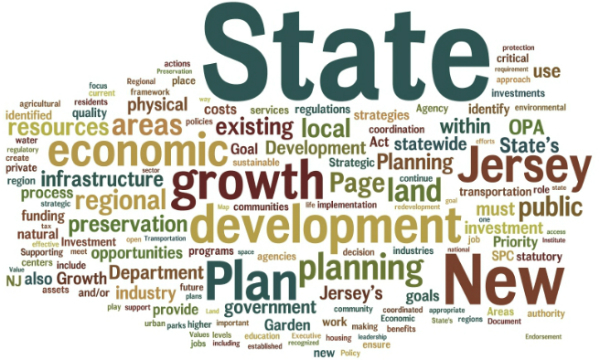 Nearly 70 percent ofNew Jersey residents support a coordinated, statewide plan to steer growth and development to existing population centers in order to preserve farming communities and open spaces. These findings are nearly identical to a poll conducted in 2002. The statewide poll, conducted by the Monmouth University Polling Institute and featured prominently in today’s Star-Ledger, found that 71 percent of residents say the past two decades of growth and development have made New Jersey a less affordable place to live. In addition, a majority (51 percent) say it is now harder to drive from place to place in the state because of the way it has developed. In addition to supporting a coordinated, statewide plan to direct growth to existing population centers, residents would like to see more communities where a variety of transportation options exist and neighborhoods are within walking distance of shopping and other services. Not surprisingly, economic concerns have grown dramatically in the past decade. 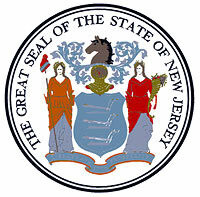 Compared to a poll taken in 2000, the percentage of New Jerseyans who believe it is very important for the state to attract new businesses and create jobs has jumped 29 points, from 59 percent to 88 percent. But this increase in support for economic growth has not diminished support for preserving and protecting the environment. Protecting the state’s drinking water supply is valued as highly by residents as encouraging new businesses and job growth, with 91 percent identifying protecting the state’s drinking water supply as very important. Also ranking high in importance are having a good transportation system of roads and highways (74 percent), preserving the state’s remaining forests (67 percent) and protecting farmland and open space from development (62 percent). In addition to supporting a coordinated, statewide plan to direct growth to existing population centers, residents would like to see more communities where a variety of transportation options exist and neighborhoods are within walking distance of shopping and other services. Two-thirds of New Jerseyans feel the state needs more of these communities, and nearly three in four residents say they would definitely (46 percent) or probably (27 percent) want to live in such a community. 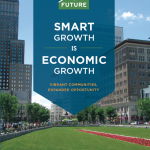 A majority believe such communities will make it easier to get around (72 percent) and will promote economic growth (71 percent). The poll also asked about residents’ awareness and opinion of planning in the Pinelands and Highlands regions. The vast majority says it is either very important (59 percent) or somewhat important (28 percent) for the state to protect areas like the Pinelands and Highlands; only 8 percent say it is not important. Of those who knew about the Pinelands and Highlands programs, two-thirds support these regional planning initiatives. The poll of 804 residents, conducted between Aug. 18 and Aug. 24, has a margin of error of +/-3.5 percent. It was commissioned by New Jersey Future, the Pinelands Preservation Alliance, the Tri-State Transportation Campaign and Smart Growth America, and funded by the William Penn Foundation.